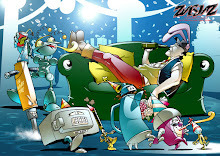 The Quaequam Blog: The Daily Zarjaz- Rogue Trooper- Infested! The Daily Zarjaz- Rogue Trooper- Infested! 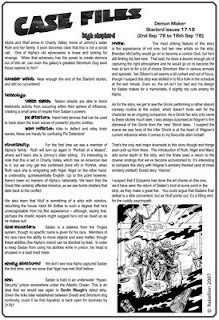 Episode 05- click to see larger version. Welcome back to The Daily Zarjaz as Lee Robson and Paul Moore present Rogue Trooper- Infested! Join us tomorrow for the next thrilling episode! 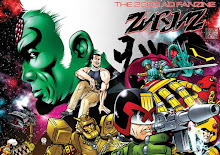 Don't forget to order your copy of Zarjaz for more top class hyper-thrills! INCOMING! 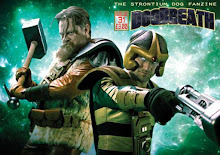 Strontium Dog- Tremor Wings! INCOMING! Durham Red- Come on you reds!